Lindblad Expeditions has purchased Orion Expedition Cruises, the small-ship adventure company in Australia. Orion Founder Sarina Bratton will leave the company when her contract expires April 19. Orion’s 102-passenger vessel, also named Orion, will become part of Lindblad’s fleet in March 2014. New York-based Lindblad, which partners with the National Geographic Society, owns five small ships and charters another five vessels seasonally. “Following two straight years of record revenues, it was the natural progression for company growth,” said Sven Lindblad, president and founder of Lindblad Expeditions. The acquisition will increase Lindblad’s passenger capacity by 18 percent. When the Orion joins the Lindblad fleet, it will become the National Geographic Orion and will offer new itineraries “designed to blend the interests of the U.S. and Australian markets,” the company said in a press release. Orion’s operations will continue to run out of the company’s Sydney office. 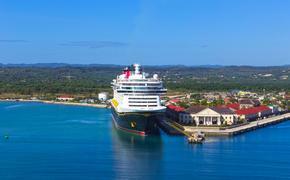 More details on U.S. sales and itineraries will be released in the coming months. Lindblad’s ships, which accommodate no more than 148 passengers, are the National Georgraphic Explorer, the National Geographic Endeavour, the National Geographic Sea Bird, the National Geographic Sea Lion and the National Geographic Islander. The company also charters the Delfin II, the Lord of the Glens, the Oceanic Discoverer, the Jahan and the Sea Cloud seasonally. Itineraries include Arctic Svalbard, Antarctica, Alaska, Baja California, Central America, Galapagos, the Amazon, New Zealand, Africa, British Isles, Egypt, Europe, the Mediterranean, the Pacific Northwest and South America. Orion cruises in the Australasian market, including the Kimberley region of Western Australia, Antarctica, Papua New Guinea, Borneo, the Russian Far East, Japan and Southeast Asia. Bratton called the move “both amicable and timely” and adds she plans to travel and work on her “golf handicap.” Orion was jointly owned by U.S. private equity firm KSL Capital Partners and a division of Dutch shipping bank DVB, which also owns 70 percent of Lindblad, according to Australian press reports.